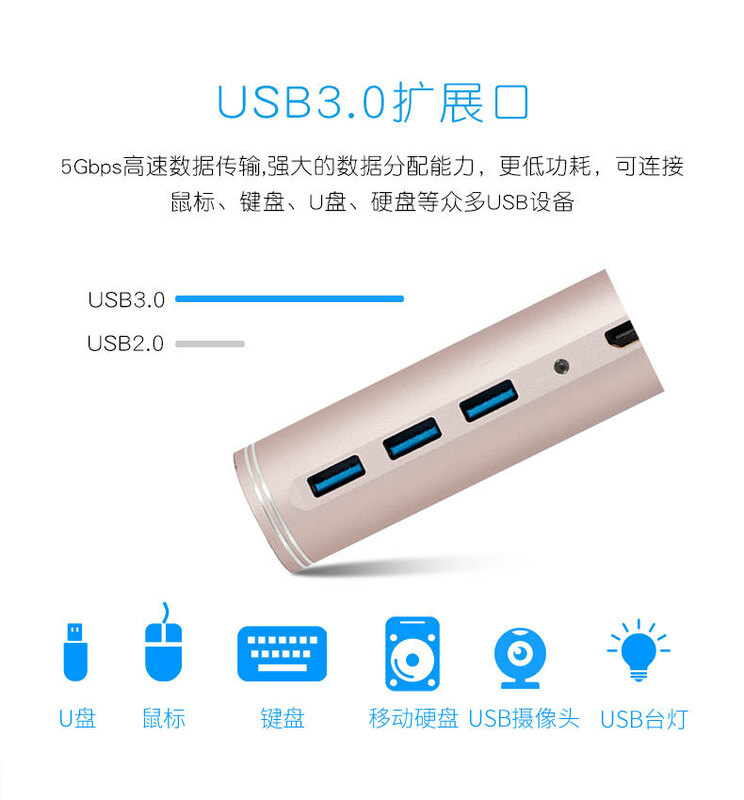 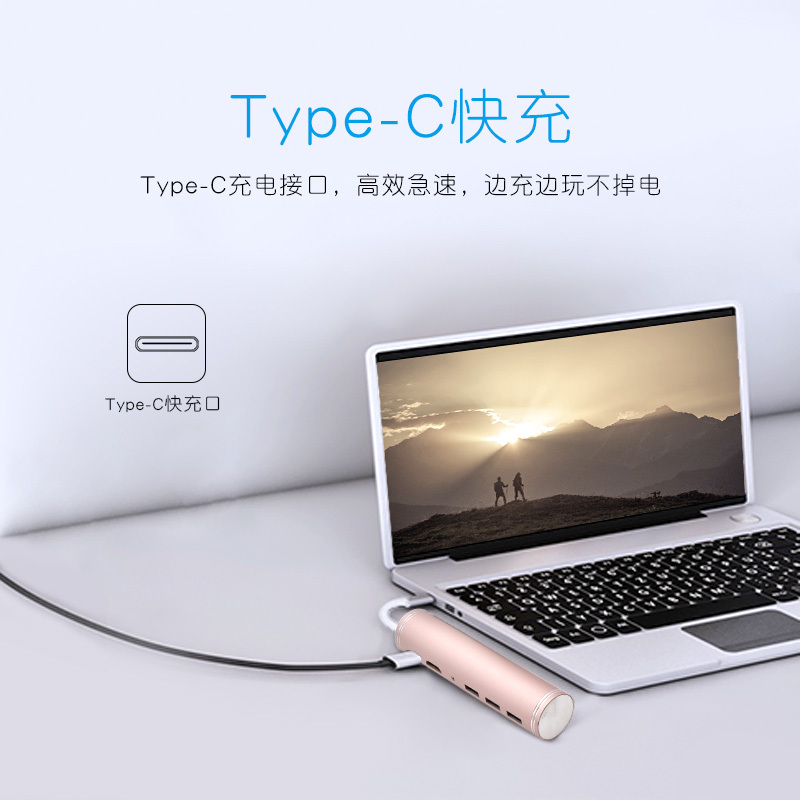 This usb c dongle instantly add an extra USB C Port, 4K HD-MI,3 x USB 3.0 Ports for your Macbook 2018/2017/2016/Notebook/PC/Laptop. 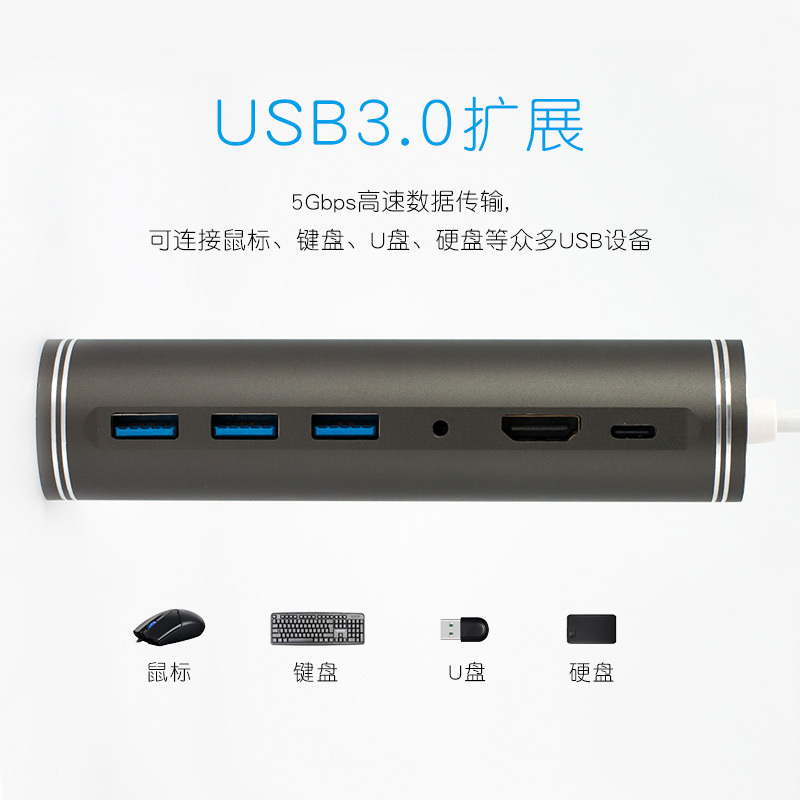 Ultra-fast data transfer with a speed of 5GBPS for 3x USB 3.0 ports. 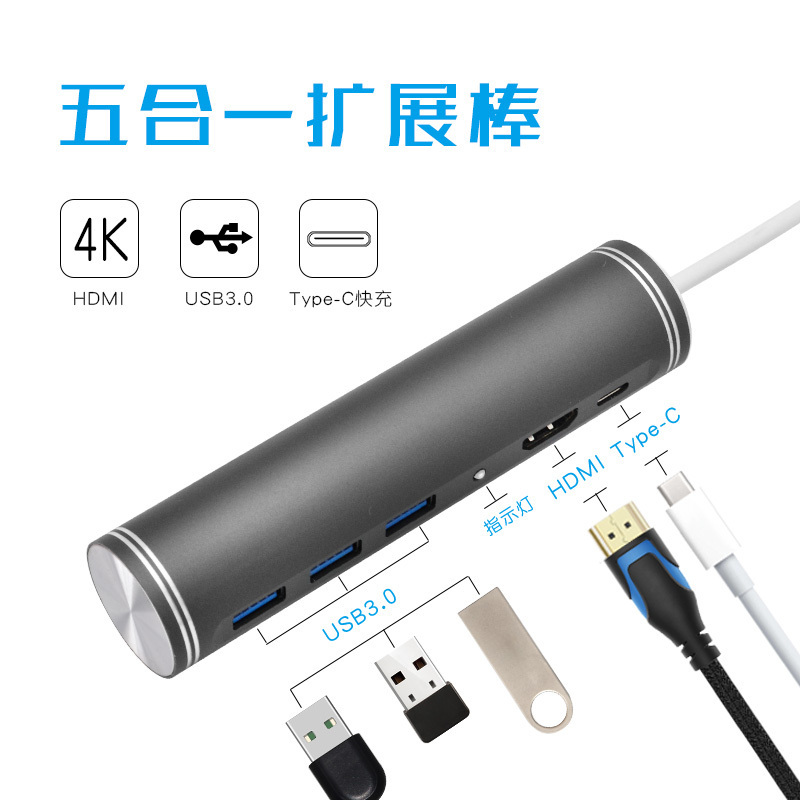 Use the hub’s 4K HD-MI Port to mirror or extend video to a HD monitor. 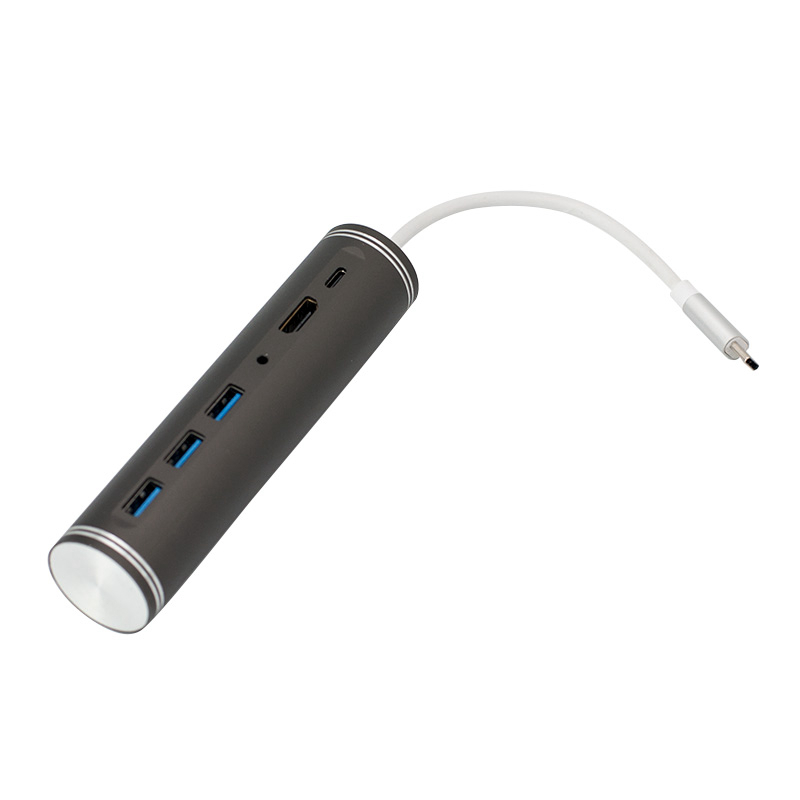 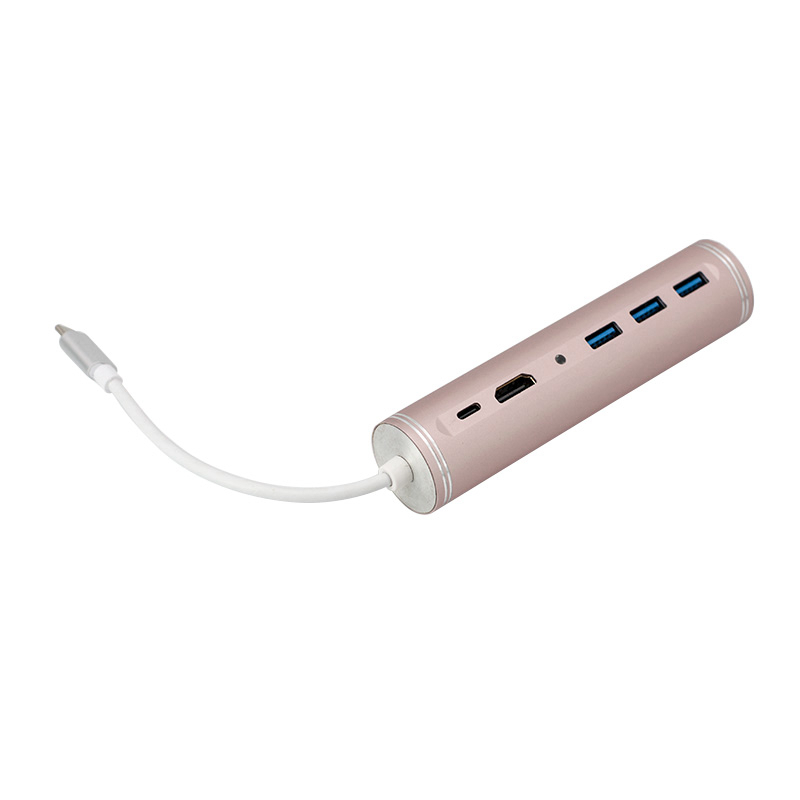 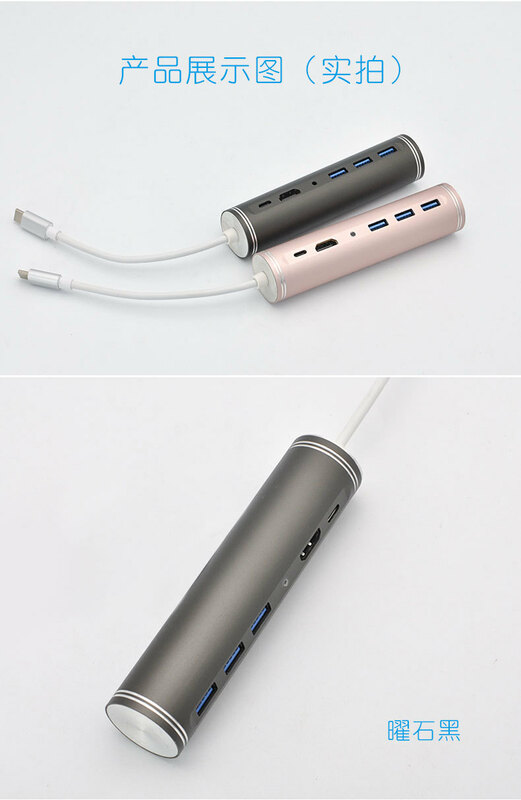 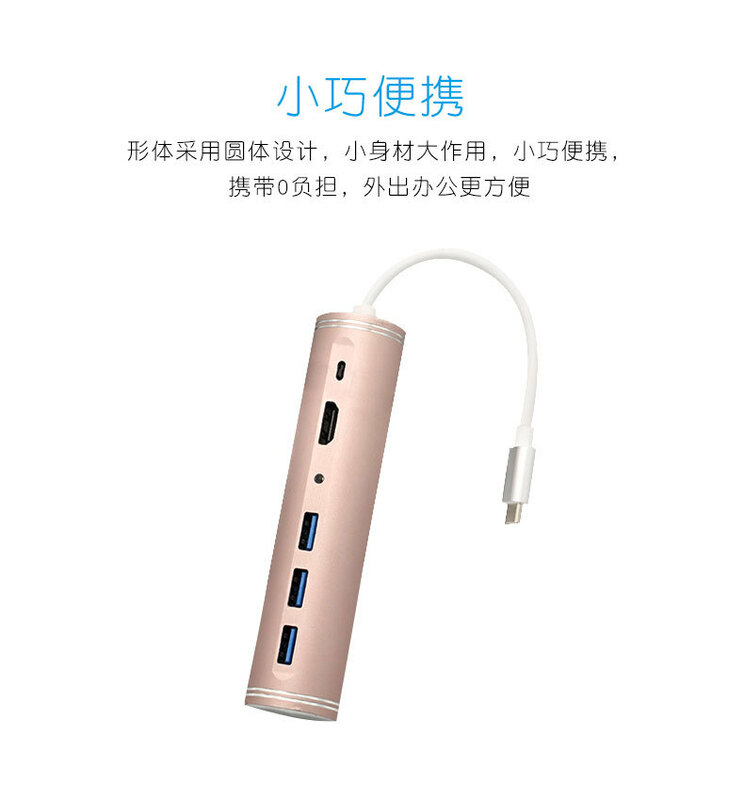 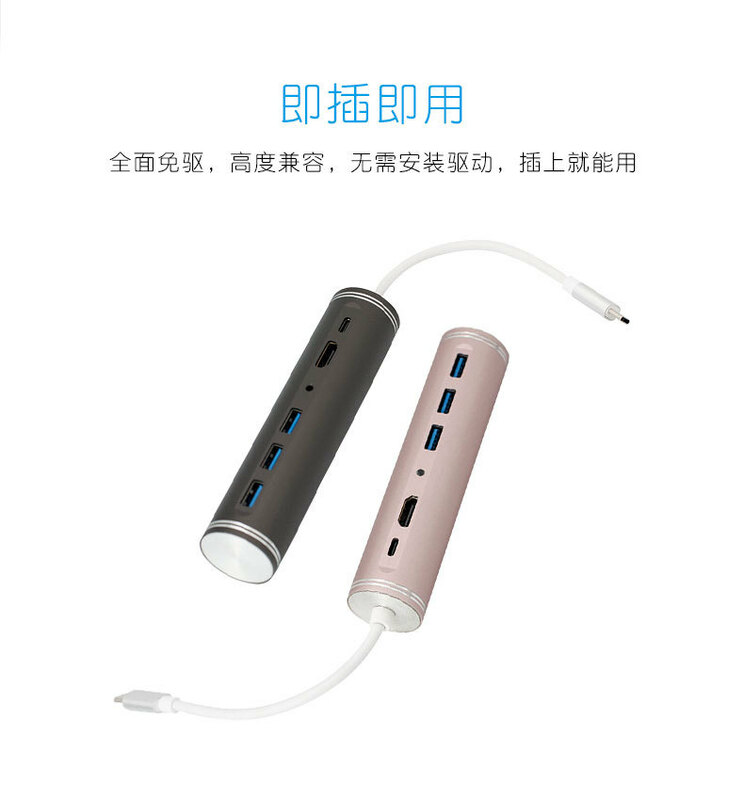 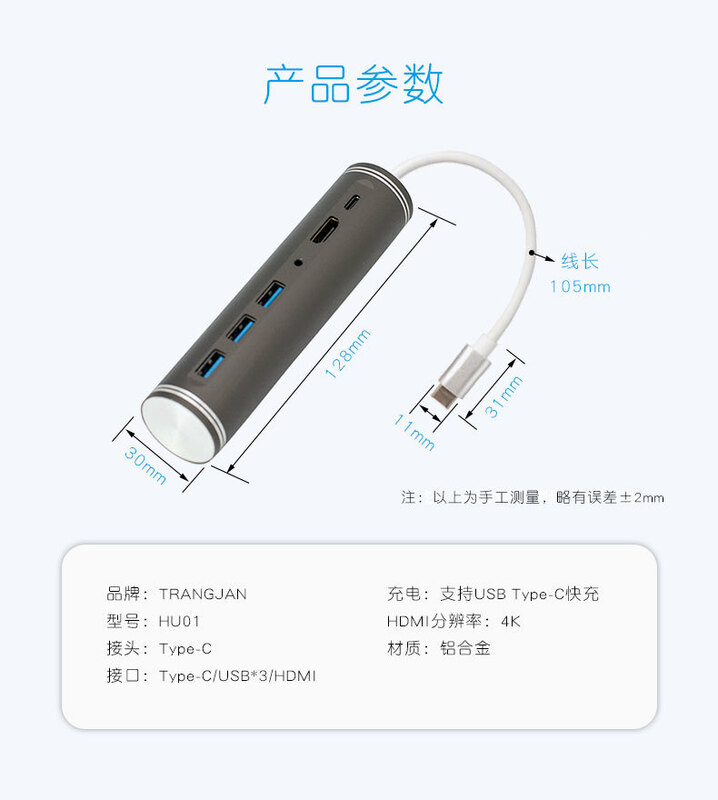 Aluminum Enclosure and High Strength Cable Provides additional durability to this type c usb hub. 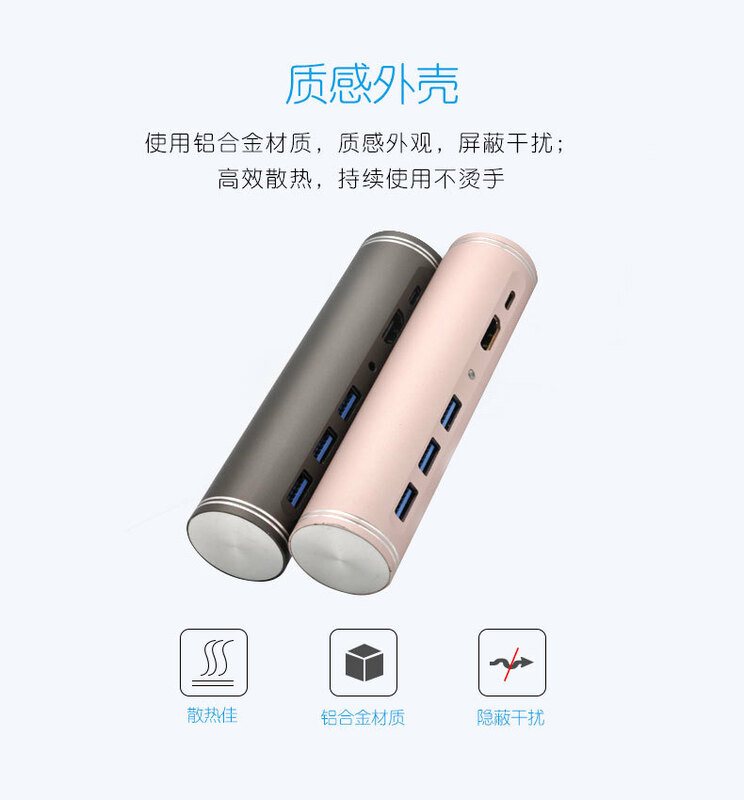 Superior quality, slim and compact design makes it perfect for travel. 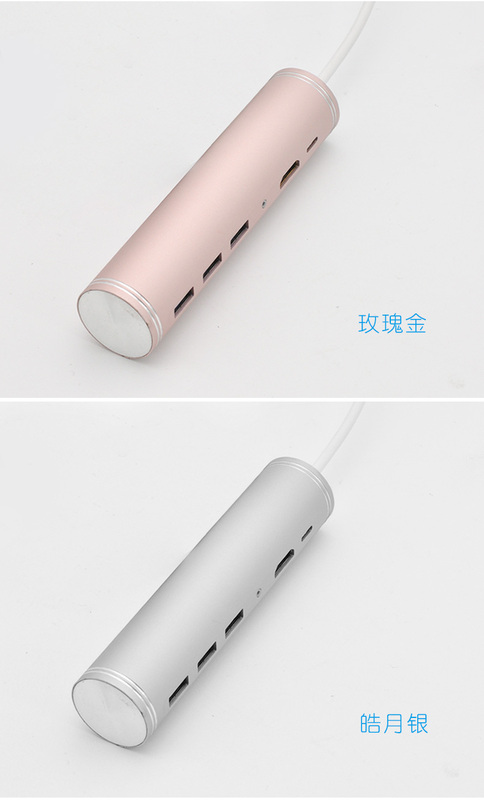 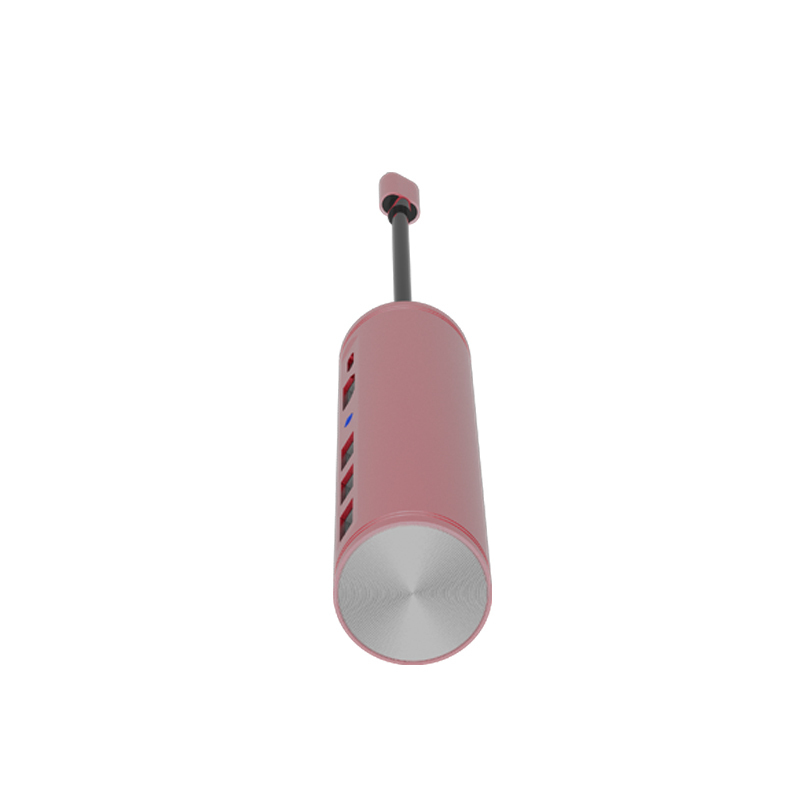 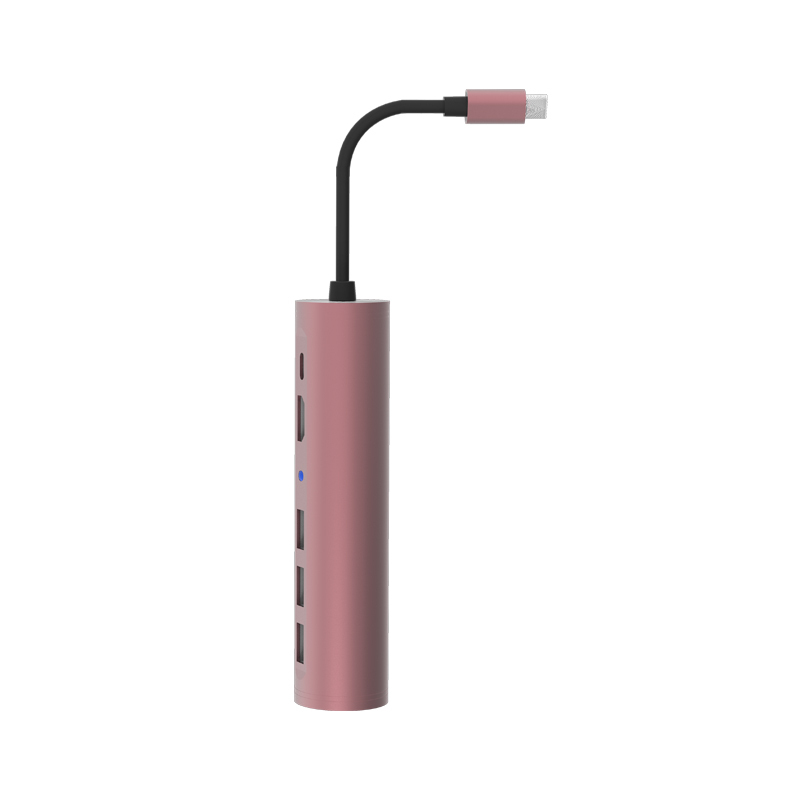 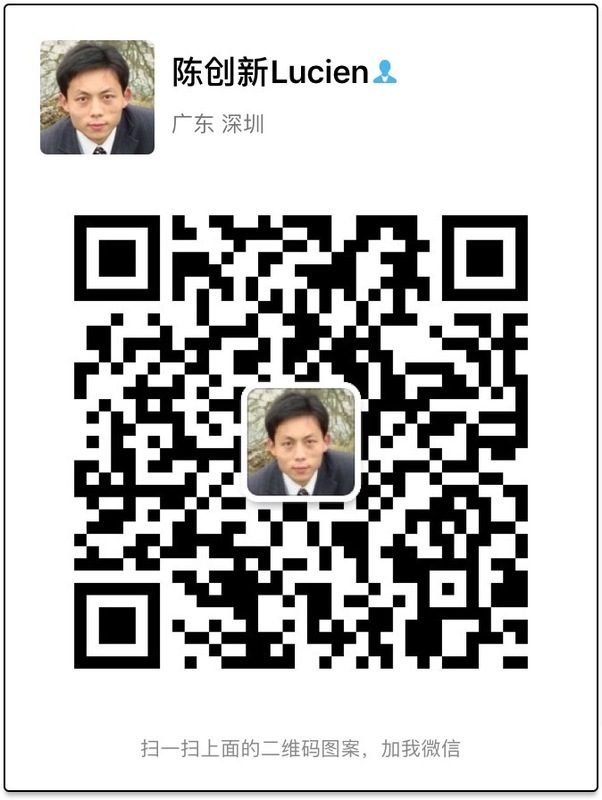 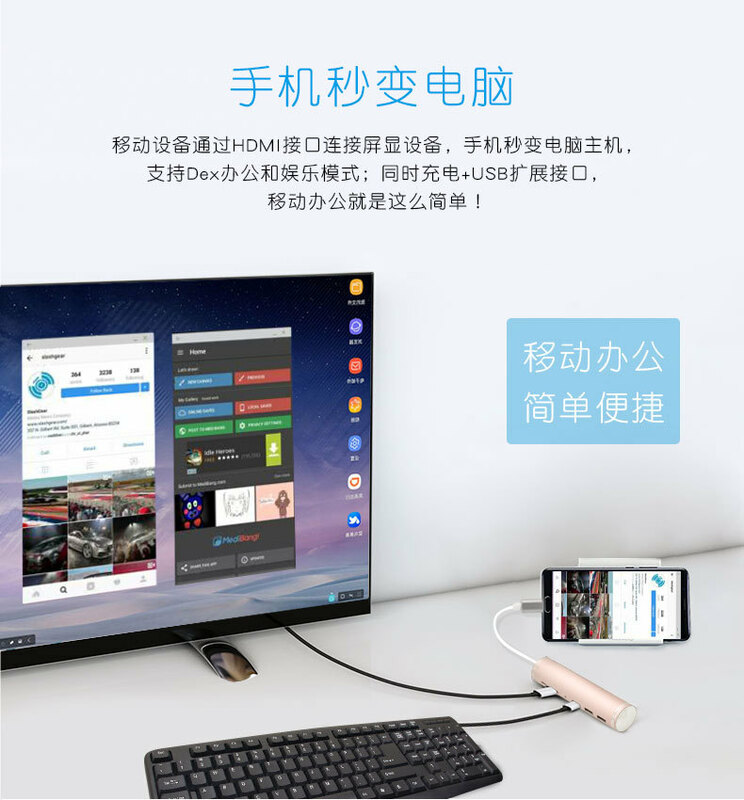 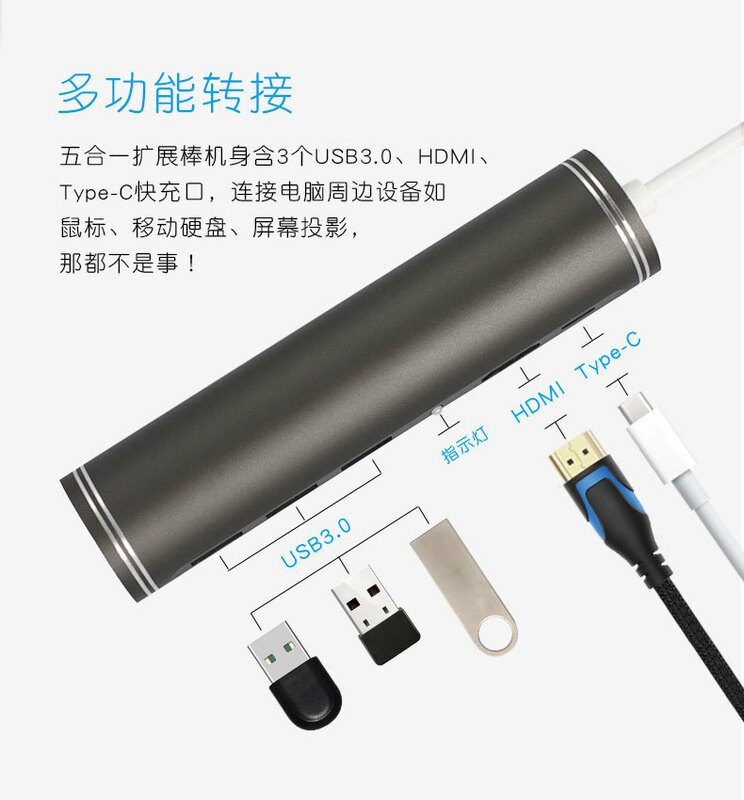 Support data transmission and HD-MI output; Connected to TV and transmit data safely at the same time; Expand your devices connectivity, excellent quality and solid but light weight. 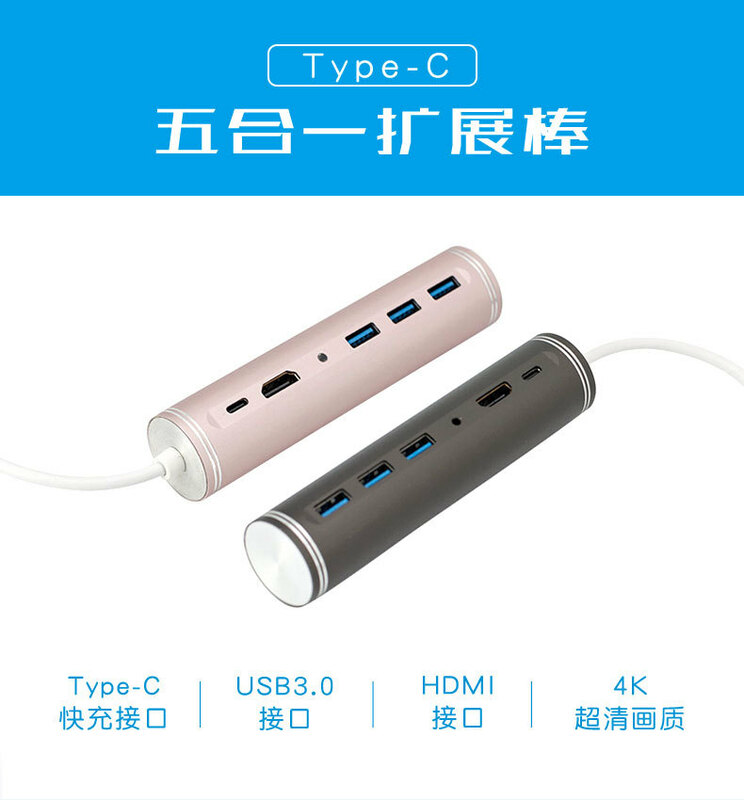 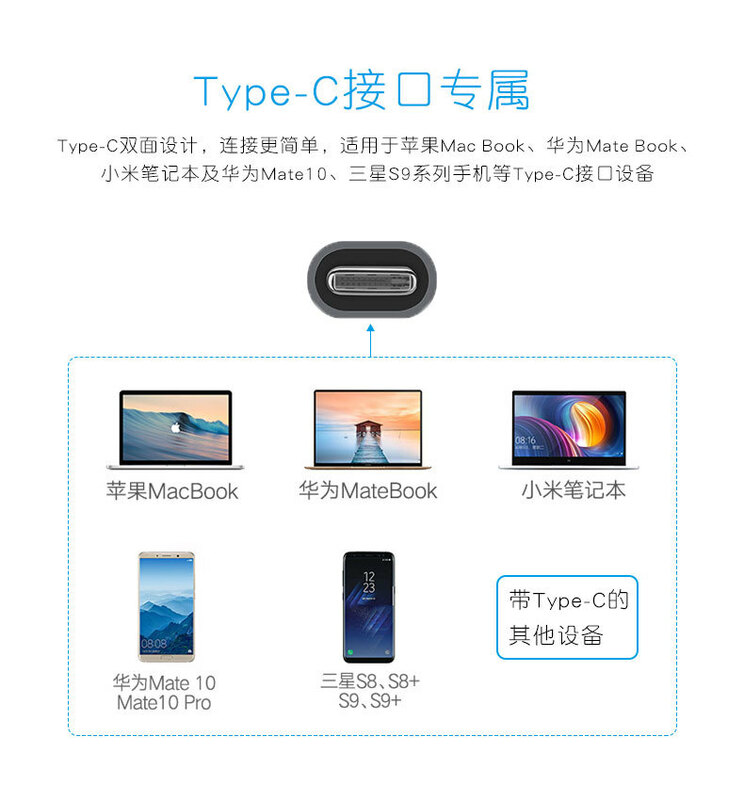 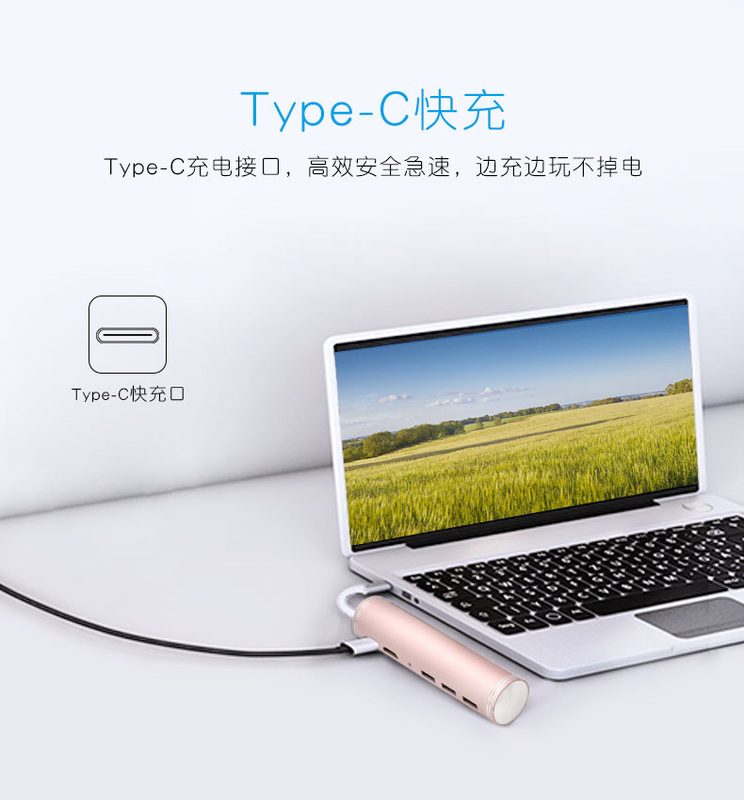 Design for easy-to-use; Simple to take the Type-C USB Hub with you anywhere you go. 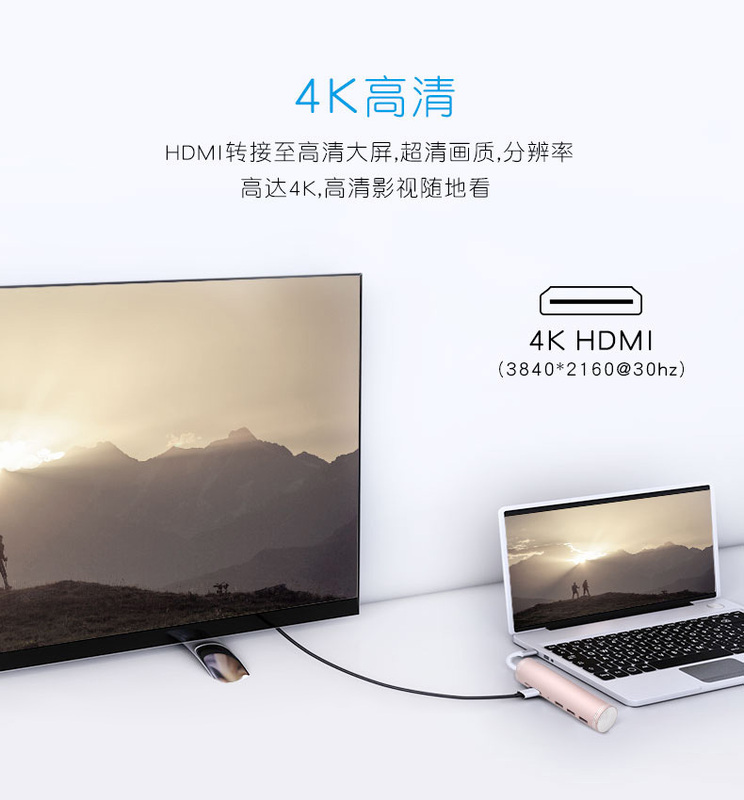 Extend a larger screen; Reach to max resolution of HD-MI 4K@( 3840x2160P)30Hz; Super speed: 5Gbps; Fast enough to transfer your data.